After success with their 100-hour long, puzzle gem matching, mobile RPG, Dr. Who Legacy, Seed Studio and Tiny Rebel Games are teaming up once again to bring another experience to the extended Dr. Who universe. 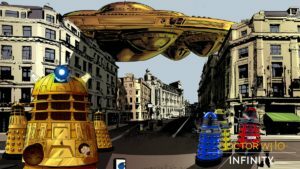 This time, the developers are taking their tile based gameplay expertise and giving it a new twist in the form of an episodic, narrative driven journey called Dr. Who Infinity. 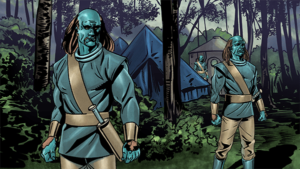 Working behind the scenes with well-known Dr. Who comic book artists and writers as well as actors from the TV series, such as Michelle Gomez & Ingrid Oliver, the game makers are putting together 6 episodes, each of which will have a distinct personality, look, feel, and storyline. 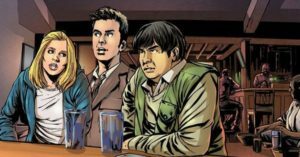 The new, original stories will cover a variety of doctors, monsters, and companions from the classic and modern eras of the legendary show. All of the episodes are to be released by the end of the year. So far, 3 of them have been revealed. With the help of his assistants, and possibly the Daleks themselves, the Twelfth Doctor must stop a full-scale assault on the Earth’s timeline, battling against a new type of Dalek/human hybrid. 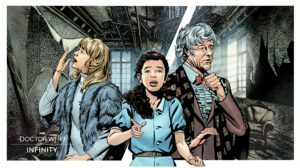 Caught in the midst of a German bombing during the height of World War 2, the Third Doctor and Jo Grant find themselves trapped with an orphan girl and her strange companion who seem desperate to return to 1842, a time when children were used as slave labor in the mines. 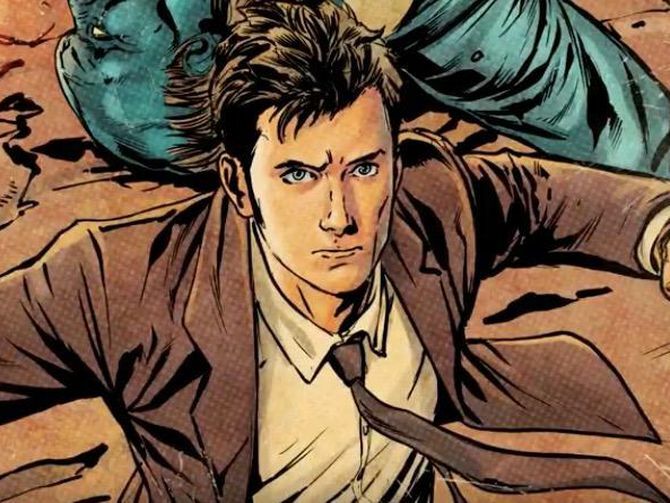 Rose Tyler and the Tenth Doctor team up with a small town poet to unravel the mystery of a Lady who walks the surface of a local lake, find out why the animals nearby are dying, and prevent a piece of alien technology from destroying mankind. 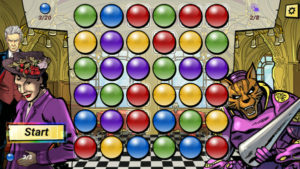 Dr. Who Infinity will travel to PC in the very near future, with a planned mobile release sometime afterward. The game can be wishlisted on Steam right now. (UPDATE: The first 3 episodes are now available on Steam, Humble Bundle, Google Play, and the Apple store). Teaser trailers for each of the first 3 episodes can be seen on the Tiny Rebel Games YouTube channel. If you’d like to know more about Dr. Who Infinity, there’s a fascinating and informative interview with the owners of Tiny Rebel Games, Lee & Susan Cummings, on MCV.com. 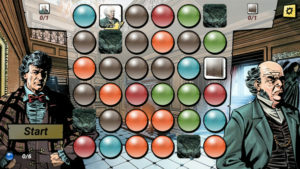 The development team’s previous game, Dr. Who Legacy can be downloaded for free on the Apple and Google stores.